The colour is going to be Lotus Aubergine. There are many Purple Caterham Seven’s around but I’ve not seen too many that look like they’re Aubergine. Please leave me a comment if you know otherwise. Williams have been chasing for the colour. I had been trying to find something a little darker but we couldn’t seem to make a great deal of progress on that, so Aubergine it is. I’ve also spent a little time on getting a rear line drawing of a Seven together. There’s a plan for the line drawings that will become clear in a later post but for the moment I now have both front and back drawings done. Both could do with some more TLC being spent on them so I’ll wait to post them in their native format until that’s complete. With about nine weeks to go Williams have asked for the second deposit, which was paid this week. Hopefully, we’re back on track for weekly updates. Last week we were out of the country on holiday and so there wasn’t much to report. Next weeks post will be on the back of another trip to the US, so hopefully there will be time to say something interesting. I was also due to go to the London Motor Show next week for a petrol-head fix, but due to US trip I won’t be able to make it now – bummer! However, I should be back in the UK next Sunday morning and that means I’ll be able to make it to the Bristol Motor Show at The Mall, Cribbs Causeway. Williams have a display there so we’ll go and have a poke around and see what’s going on. The weeks are ticking by now. On the todo list is still a project plan and I need to check through the tools I’ll need to make sure I have everything I need. I have a list of things to consider but I need to do a full run through and check what I’ll be needing. Lotus Aubergine – lit from the right on a curved sample showing a gradation of the colour in different lighting. For those of you following each episode you’ll remember from the last post that after one coat I wasn’t happy with the epoxy garage floor covering. This week another pack of the Rust-o-leum garage floor kit arrived and it was applied to the floor. Before putting this second coat on I also took the time to fill any cracks in the concrete floor. The rust-o-leum didn’t cover well with the porous floor and did very badly at filling fine cracks in the concrete. The first coat also showed a number of holes and dents in the original floor. All this was filled and then finally the second coat of rust-o-leum was applied. This time the quoted 25m2 coverage given on the can was much closer to being valid. Instead of the full can only covering our 16m2, it looked like it would have gone on to do the full 25m2. The final result was much better. 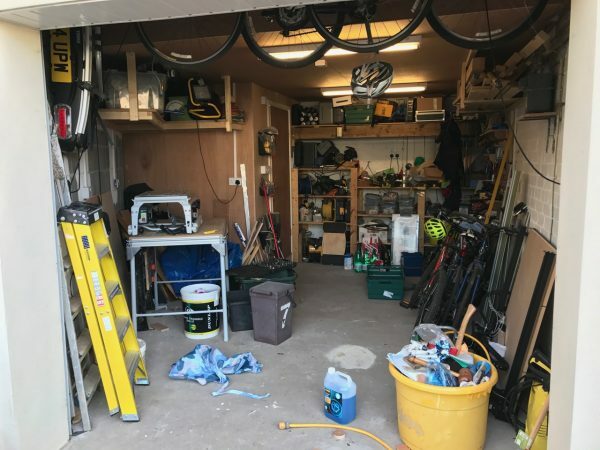 We then left the garage empty for a couple of days just to make sure it was all cured. But even then, putting a kids bike back into the garage caused the rubber tyres to bond to the epoxy and pulled the second coat away with the tyre when we moved the bike. Needless to say, the bike spent the next two days perched on some off-cuts of plywood to make sure that didn’t happen again. 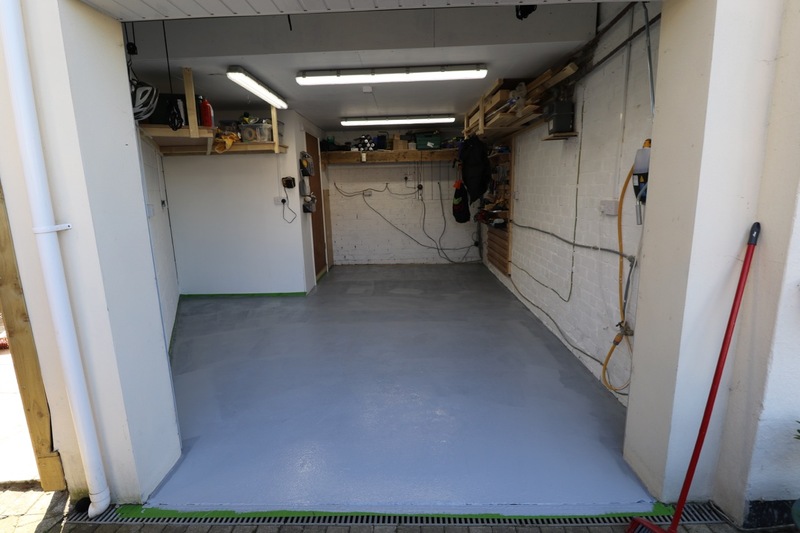 On reflection, perhaps a self-levelling compound prior to any epoxy coat would have given a better overall finish but in the end it’s only a garage and I’m happy with the result. In the down time this week I turned my attention again to the 3D CAD model of an R500 that I’d bought. I want to try and get a 3D print of the model and have experimented with a number of ways of turning the supplied mesh into a solid body – all to no avail. This needs a rethink since there are a few dozen parts in the model and the hand editing of the mesh that I’ve resorted to so far is proving to be very time consuming. In the meantime I created a vector line drawing of the front view of the CAD model. I intend to use the line drawing for some promotional material but that’s… for another post. At some point I’ll provide a high resolution PNG and SVG image gallery of the drawing below. Vector line drawing of the front view of a Caterham Seven. Vector created using Sketch on macOS. Last week I also talked about working on the project plan for the build. I got a little time to work on that this week but it will now also have to wait for a future post. It’s a quick update on the garage work this week: painting, lighting, the floor and some idea of what space is available for the build. This week we completed the painting of the walls and ceiling, see Update 1 for more info on that. In total I think this modest 16m2 garage with a mixture of brick, breeze block and ply-wood walls took something like 40-50 hours to paint. It wouldn’t have been worth it just for the 20-30 days (not elapsed time) that I think the Caterham is going to take to build, but we use the garage all the time and its much brighter with white walls, which justifies the time in my mind. Speaking of bright, I also changed out the ceiling lighting this week. Since the extension of the house and rebuild of the garage we have had two 4ft fluorescent tubes lighting the garage. While this was ok it wasn’t stellar and not what I’d wanted when the lighting was put in. So, this week I bought and installed two 5ft double and one 4ft double LED units from LEDHut. For those interested: the lighting levels went from an average of 120 lux (average of three points with garage doors shut) to 580 lux (at the same locations). Technical: Lux is a measure of the light falling on an object, you measure lux with a light meter. In my industry of video communications we try to make sure a video conferencing room (think posh meeting room) is set with a lighting level of at least 600 lux. If an office is being used for video conferencing then anything above 300 lux can give acceptable lighting for modern web cams. However, for some high profile installations lighting levels might get as high as 1000 lux. The more light you have illuminating the subject of the video the less noise there is in the video – noise is speckling patterns in the video images. With really low lighting levels, below about 100lux, lower quality web-cams can start to reduce the frame rates of the video they produce. As light levels drop they can reduce their frame rates from a normal of 25 or 30fps (frames per second) to 15fps and below that in really low light. 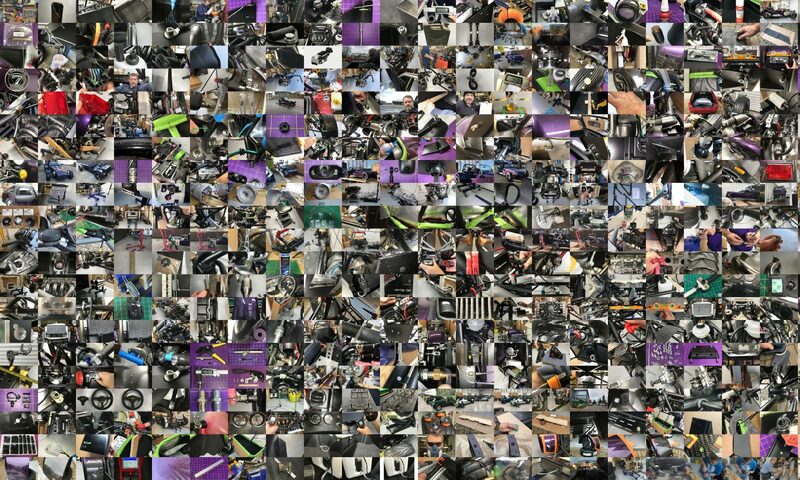 Mobile phone cameras with small sensors and small lenses are notorious for reducing their camera frame rates when they’re in a low light setting. So… my 580 lux is definitely there or there abouts for lighting levels. The space is now markedly brighter, even if the occupants aren’t! This weekend the weather took a turn for the better with clear blue skies on both days. Saturday had hardly any wind. So, we decided to get the garage floor painted. The low wind being a benefit because we needed to make sure no stray leaves or dust found its way onto the newly painted floor. We’d also need to keep a lot of the garage clutter outside over night while the epoxy dried so a dry clear weekend was a bonus at this time of year. After clearing the space we swept, vacuumed, swept and then vacuumed the space again. Then we cut-in the edges of the garage and rollered the main area. In all that took all of Saturday for the clearout and painting. We used a Rust-o-leum garage floor kit that we’d bought when the garage was rebuilt. The instructions said it would cover 25m2 of floor but in the end the kit was all done with our 16m2. Our concrete floor was nowhere near as smooth as I first thought and the shortfall in coverage was probably something to do with the roughness and porosity of the concrete. All finished… I’m not happy with the outcome. It’s patchy and hasn’t covered some of the rougher areas well. Therefore, another kit is on order from Rawlings. I’ve also filled some of the bigger cracks and gouges in the surface which didn’t take the first coat so well. Hopefully that means that the second coat hasn’t got so much work to do and I can make a thicker and more even covering. This is what the garage looks like now. And this is what it was like before. How Big is an SV in this Garage? For those of you unfamiliar with Caterhams, they essentially come in two sizes. 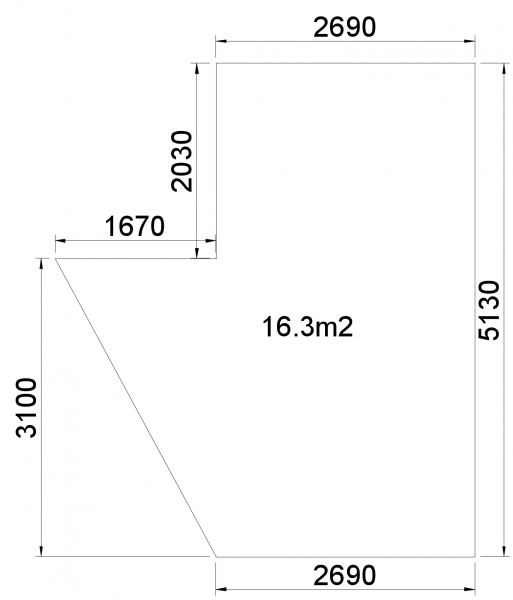 The one I’m going for is the wider and longer SV, which is around 3300mm x 1680mm. What does that look like in the garage? Well I marked out the size of the car with masking tape on the garage floor and here it is below. It’s going to be a tight build. Next week I’m hoping to get back to Williams to fully spec out the car with Lindon and with the garage mostly finished I’m turning my attention back to project plans and 3D models again. More on all of that next week. Before the build starts in earnest we’re hoping to be posting Blog articles weekly, probably on a Sunday. Also, in addition to full weekly posts on this blog we’ll also be pushing new post links to Twitter and to Facebook to let people know when posts have happened. If you want to get notifications of new posts in your favourite social media feed then either follow @JFPMartin on Twitter or friend me by looking for JFPMartin on Facebook. 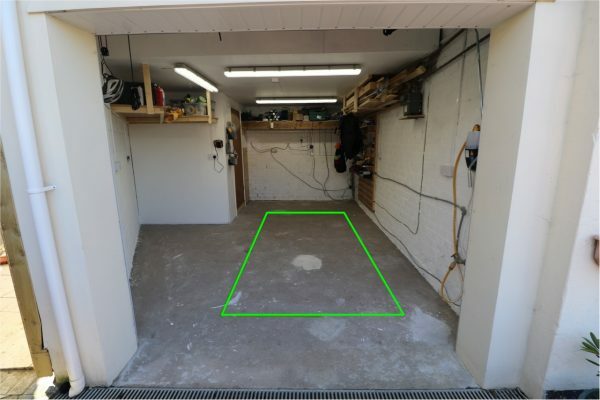 The main activity this week, other than getting my head around WordPress again, is the garage build space. The first job with “The Space” is to paint the walls. I had already painted about 1/3 of the walls when we had an extension built and the garage reconfigured a couple of years ago. But I needed to finish off the walls and paint the ceiling. It’s not that I think we need the extra light that white walls will give (hopefully we’ll be building during a hot and sunny British summer)… I just needed an excuse to be OCD and finish a job I started a couple of years ago. You can see where I’m starting from… a bit too much clutter and walls that NEED to be painted!!! I have to turn this into somewhere we can build a car. The painting consisted of one coat of 50:50 diluted emulsion followed by a final pure emulsion coat. Went for the cheapest emulsion I could find… it is only the garage after all. 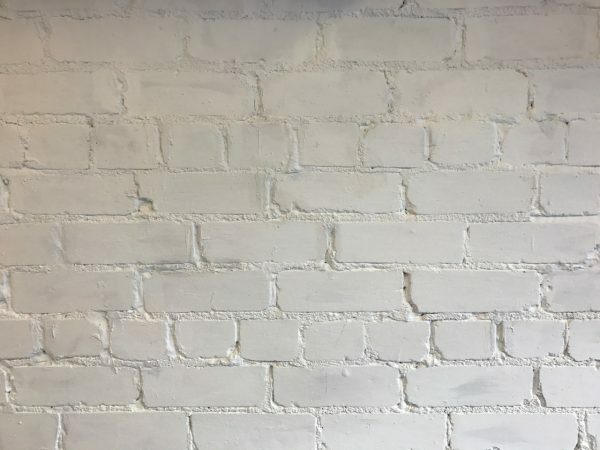 If you HAVE to paint the walls then you HAVE to fill any gaps between the bricks first, don’t try to paint into them. 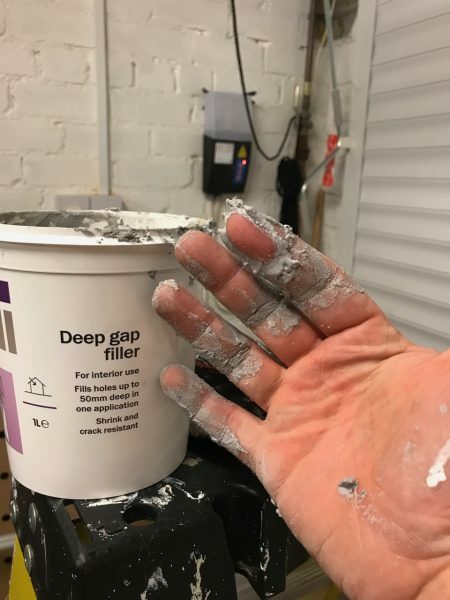 … and that’s why you need to have your hands covered in gap filler at 2:30 in the morning!… It was just one of those nights when it seemed like a better idea to be in the garage than in bed – hopefully that attitude will stand me in good stead when it comes to the build. I’ve also decided to upgrade the lighting in the garage. I’d never been happy with what the electrical contractors put in when we had the extension done. This will be an excuse to fix it. I think we’ll go with 3 lots of 5′ double LED “tubes”. I have to order them yet, but that will be next week’s job. Hopefully the lighting will go in after painting the remaining walls and ceiling. Then it will be time to put an epoxy coating on the floor. 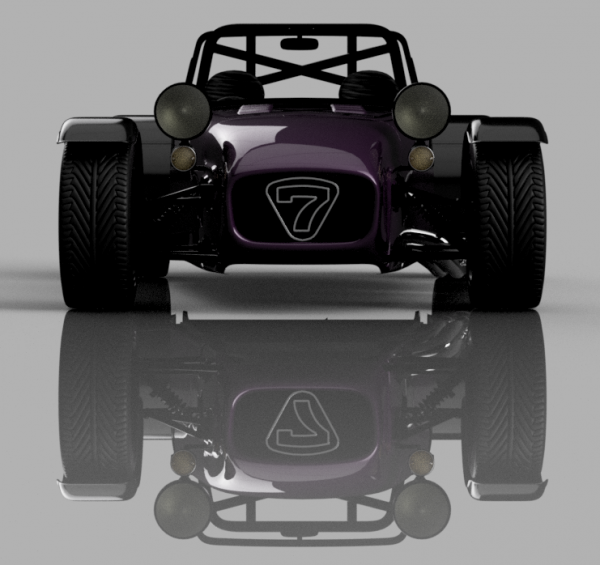 The Purplemeanie Engineering Team are building a kit car this summer. Get updates on Twitter, Facebook and on the Build Blog at www.purplemeanie.co.uk.